•	Arrive at Baku International Airport and meet our local representative. •	Check-into your booked hotel and relax. 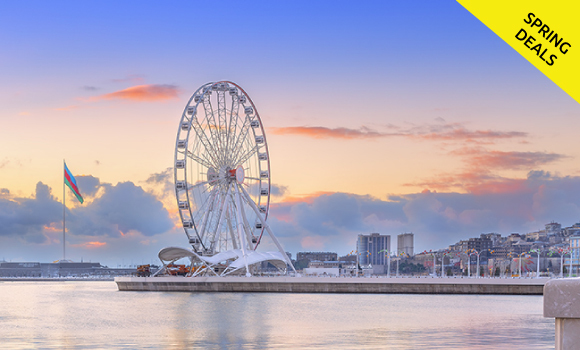 •	Baku city tour with Welcome dinner. •	Have a comfortable overnight stay at the hotel. •	Don't miss the chance to Opt.for Gabala. 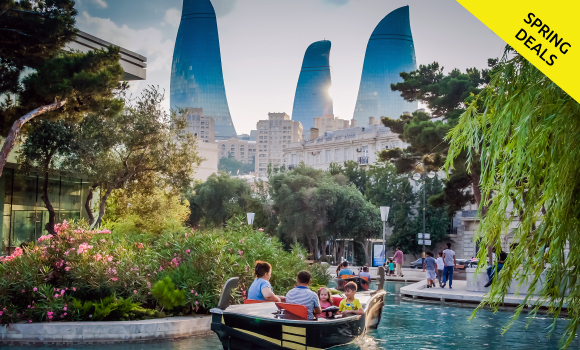 •	Experience culture and history of Baku through half day tour to Ateshgah Fire Temple and Fire Mountain. •	Get to know about ancient Fire Temple which was considered as a holy center by Indian and Persian fire-worshippers of Azerbaijan. Spend 3 hours with a local, friendly guide, seeing and learning some legends about the Yanar Dag. •	Overnight stay in Baku. •	Board your return flight from Heydar Aliyev International Airport and cherish fond memories of your trip.